MAST® are pleased announce the latest addition to the mastdiscs® ID range – MAST®ICT (D74), a paper test device, based on the principles of the Indirect Carbapenemase Test (ICT). Due to misuse and overuse of antibiotics, antibiotic resistance has quickly disseminated and is considered a major threat to healthcare worldwide. Bacteria are now developing an abundance of mechanisms that allow them to confer resistance to antibiotics, resulting in the development of untreatable super-bugs which are often associated with high mortality rates. Of increasing concern is the level of carbapenem resistance amongst Gram-negative bacteria caused by carbapenemases, which is not only confined to Enterobacteriaceae but is now found in Pseudomonas and Acinetobacter spp. Carbapenems are often a last resort when treating resistant Gram-negative infections; however, the development of carbapenemases is rapidly rendering them useless. Although there are commercial solutions for the detection of carbapenemases in Enterobacteriaceae, options for Pseudomonas and Acinetobacter spp. remain limited. 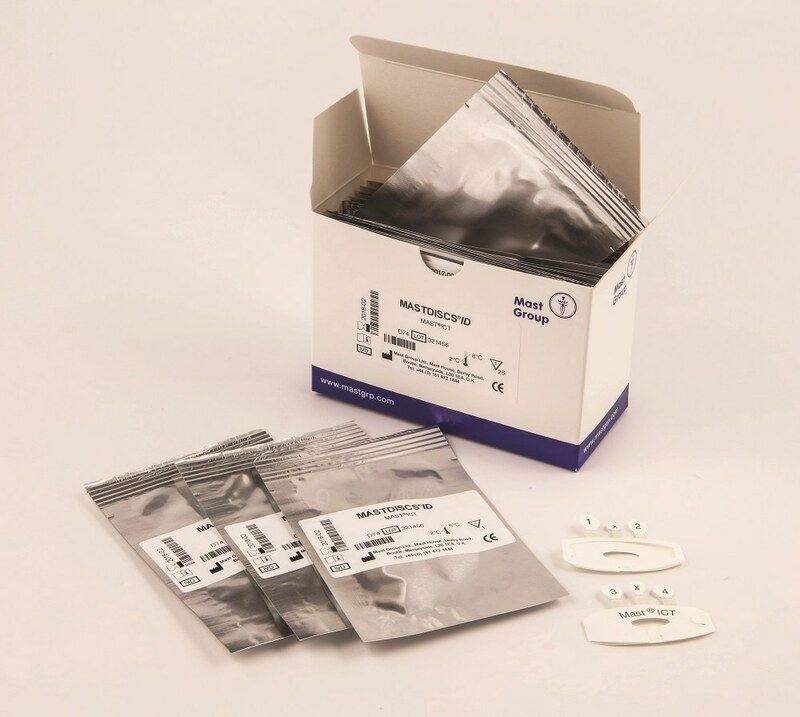 The MAST®ICT method utilises a cell permeabilising agent to release carbapenemase enzyme from a Carbapenemase-Producing-Organism (CPO) to hydrolyse an indicator antibiotic in the test system. This allows a normally carbapenem susceptible reporter organism to grow where antibiotic has been hydrolysed, thus producing a distorted zone of inhibition. If the test organism produces no carbapenemase, the reporter organism will form a regular, circular zone of inhibition around the indicator tip.